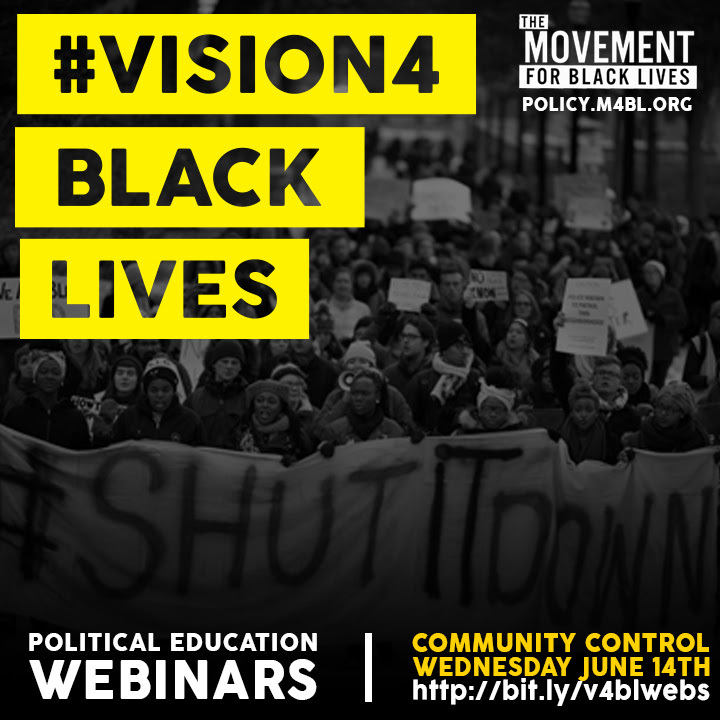 We invite you to the Movement for Black Lives fifth political education webinar this coming Wednesday, June 14th at 7 ET/4 PT. The webinar will be focused on Community Control. We will be discussing different perspectives on the possibilities and challenges of community control as it relates to land, gender justice, policing and participatory budgeting.